So much of modern/allopathic medicine is about ‘putting something in’ the body/system to rectify a problem. Sadly, alternative and complimentary medicine seems to be going down a similar path. Most healing modalities seem geared towards what we need to ‘put in’ to respond to the dysfunctions thrown up by the body. There is a very serious flaw in this approach; that is that the secret to health is in fact the removal of waste! The primary mission in restoring health is at first about taking things out of the system. If we understood the disease process we would see that nothing else makes sense. Let’s examine this further…. The body is made up of between 60 – 100 trillion cells. Each day 30 billion dead cells are produced as a result of simply being alive. These cells are no longer efficient or useful and they create a large cell debris. They include nitrogen compounds, uric acid, lactic acid, sulphates, ammonia etc. Under normal conditions the lymph and the blood swiftly remove these materials from the fluid that surrounds the cells (the connective tissue). In addition to these excretions, which are the by-products of cell metabolism, the blood dumps blood plasma proteins into the connective tissue. These include albumens, globulins, fibrinogens and other regulatory proteins. If these naturally occurring waste products and the blood proteins are not removed promptly, theybuild up in the body, eventually causing congestion. Once stored waste has reached a certain threshold, it simply impairs the functions of the affected parts of the body. The main organs undermined are the intestines, liver, kidneys, gall bladder, appendix and reproductive organs to name a few. The body then busies itself trying to restore health. It is important to understand that the body is ALWAYS trying to restore health with all the materials it has at its disposal. The body is never working against itself. Once the build up of waste has reached a critical mass, the body employs oxygen free radicals, enzymes, fungi and even destructive bacteria to try and break down the mixture of dead cells and metabolic waste. It is also at this stage of what is the body’s attempt to heal itself (more commonly called disease) that the immune system becomes engaged trying to remove both waste matter and other toxins as well as any weak and damaged cells. This response is commonly known as inflammatory disease. However, if you understand that the body is always trying to make the best of the situation, given the resources available to it, you begin to see that what we generally are referring to as diseases are in fact the body’s attempts to survive the onslaught of waste. Both inflammation and infection are in fact not diseases. They are really part of the body’s first line of defence. Various organs and systems in the body are designed to deal efficiently with the daily waste products. What we call disease is conceived out of some obstruction to these organs performing their tasks. Let us look more closely at some of the miracles our bodies perform each day in an attempt to keep us free from waste. The liver breaks down cellular components and detoxifies drugs, alcohol and various noxious substances. The lungs remove the highly acidic metabolic waste product carbon dioxide and other toxic gases. The kidneys and bladder remove excessive blood plasma as well as uric acid, ammonia and other waste matter delivered by the liver. The colon excretes faecal matter, mucus, dead bacteria and parasites. The hair and nails remove proteins, excessive mineral salts, pigments and oil. The skin through sweating eliminates 40-60% of all waste in the body. The lymphatic system is continuously patrolling the body, dealing with the waste loaded lymph fluid. It is a key player in the detoxification process. This is just a small insight into the countless tasks the body is performing in our name and it is when these tasks are undermined in any way that our health becomes compromised. For these invaluable activities to take place, we need copious amounts of water. The greatest enemy to the body is dehydration. When the body becomes dehydrated, the blood becomes thickened. To try and compensate for this the blood will attempt to draw water from nearby cells. 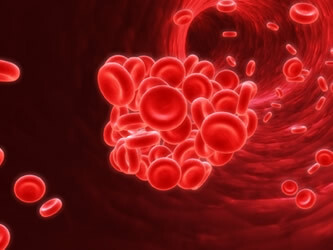 However, in doing this, the blood does become thinner but the connective tissues surrounding the cells and the cells themselves are losing the very water they need to remove metabolic waste. i) an obstruction in the liver is most likely due to gall stones in the bile ducts. They affect the nutrient supply, metabolism and energy distribution throughout the body. ii) a kidney stone can lead to the retention of urine and raise the pressure of the blood against the arteries, causing hypertension. iii) a constipated colon causes the ‘back flushing’ of waste which leads to the body being flooded with toxins, which is like going to the toilet inside yourself rather than in the bowl! Can you imagine the damage that does? iv) any lymphatic blockage can lead to heart congestion, obesity, arthritis, lymph oedema, cancer, in fact almost every chronic illness. If any one part of the body is sick, the entire body is sick. It is impossible to divide the body as is done in allopathic medicine, into categories such as cardiovascular, lymphatic, nervous and immune system etc. They are inextricably linked and hopefully by now you are beginning to see if a blockage or obstruction exists in any part of the system, all other parts of the system will pay sooner or later. The body will then desperately try, according to its capacity, to remove the obstructions to health. This is such a vast subject that our aim is not to lose the reader. So let’s try and complete this circle before looking to what the antidotes to this situation are. Hopefully by now you understand that if we are producing 30 billion cells of waste each day and are not adequately removing them from the system, by the end of a week we have produced 210 billion cells that need removing from our bodies. If the pathways of elimination i.e. liver, kidneys, skin, lungs, colon etc. are not maintained in pristine condition and are blocked in any way, these metabolic by products that are no longer useful to the body will simply build up in which ever areas they are trapped. Imagine that, each day, you only get rid of half of the waste that you produce. That would mean at the end of a week, 105 billion cells of waste are left behind! At the end of a month, somewhere between 420 – 500 billion cells of waste will have accumulated. Now consider the impact of that amount of waste on the body. Every organ would be being challenged in some way. The organs of elimination in particular would be constantly under pressure. In fact, even sleep would not provide rest as the body busies itself striving to maintain its own survival, and with that the quality of our lives. It doesn’t take a degree in science to begin to see that our focus should be on what we get out rather than what we put in! Even if we put in the right things, they have to compete with the poisonous substances in the body. 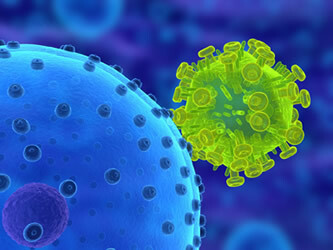 It is this toxic environment that becomes the ideal breeding ground for all pathogens i.e. viruses, bacteria, mould, fungi, parasites etc. This is why it is imperative that we change the ecosystems of our bodies because the more toxic we become the greater the proliferation of these pathogens and the more likely we are to become victims to their onslaught. In addition to these obstacles to our health, the body then has to deal with all the other environmental pollutants – herbicides, pesticides, heavy metals, xeno-oestrogens etc. Can you see how amazing this organism is that we take for granted each day? It is constantly trying to create health against all the odds. We owe it our allegiance. It is always fighting for our survival and our ignorance and neglect are constantly undermining it.